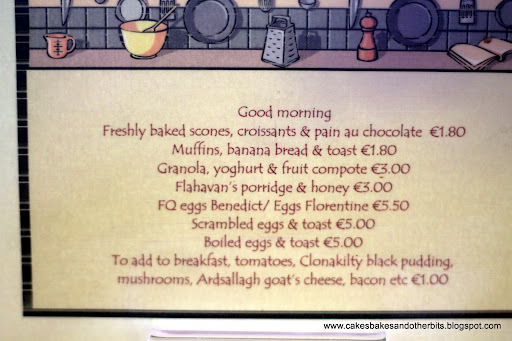 I had seen so many pictures on Twitter of the dishes on the menu at Fenn’s Quay, that, during our recent mini-break to Cork, we decided to sample breakfast and dinner for ourselves. 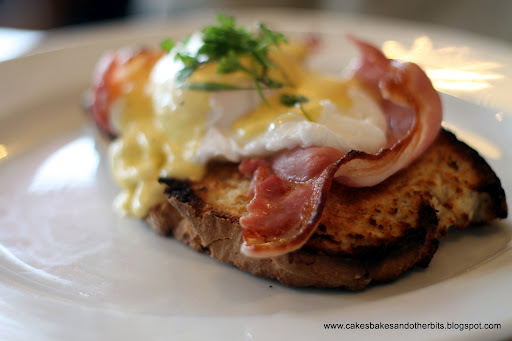 The morning after Chef du Jour, we headed back to the restaurant and with visions of Eggs Benedict dancing in Hubs head, to say he (and I) were not disappointed would be an understatement! Fenn’s Quay is co-owned by Head Chef Kate Lawlor. Kate is one of the very few female chefs in Ireland who are members of Euro-toques Ireland. 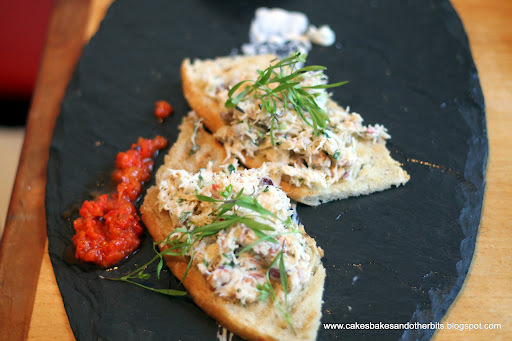 The atmosphere is really friendly, the front of house staff are very welcoming and knowledgeable about the dishes. Even though the restaurant is located in the city, customers all seemed to know each other. A cross section of people from all walks of life seem to feel comfortable and welcome here. 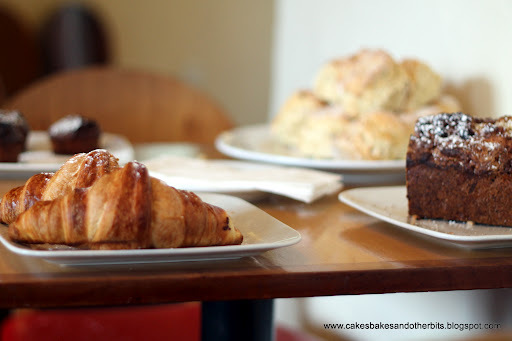 I noticed solo diners, couples, families, professionals on a tea-break, you name it, they come here! 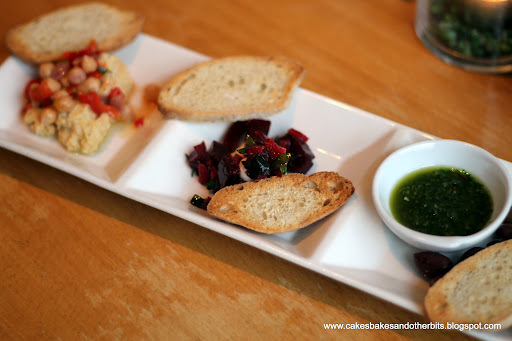 We paid our bill and left, feeling suitably sated and ready for our visit to The English Market, but not before making plans to return for dinner later that evening! 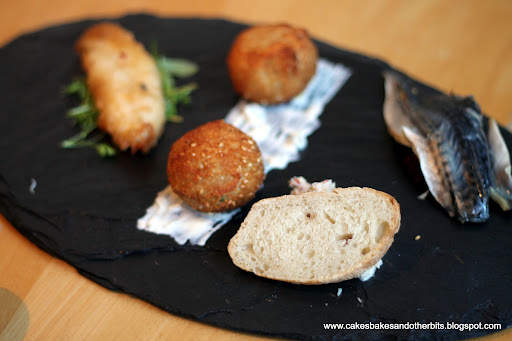 For dinner, we chose antipasti to start, followed by Hubs choice of the Fish Platter, and mine, which was a Crab Salad, both served on beautiful slate from Slated Ireland. 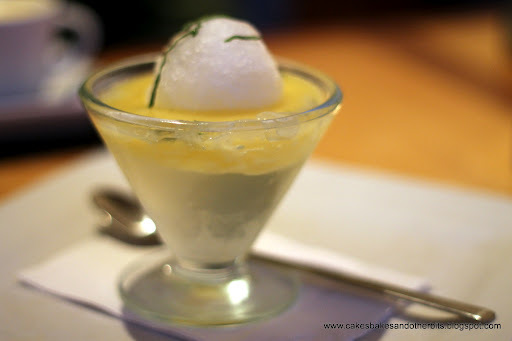 Dessert for me was Cork Dry Gin & Tonic, a clever idea with Gin Jelly, Lemon Curd, and a Tonic Sorbet. I don’t drink G & T’s, but this was really refreshing and might make me change my mind. 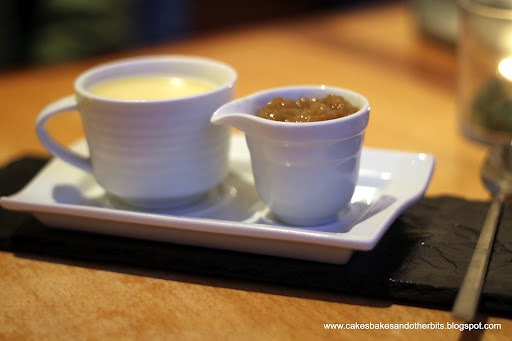 Hubs chose the White Chocolate Panna Cotta with Rhubarb Compote, a lovely combination of flavours. Produce for the restaurant is sourced locally. Having seen some of her suppliers pop in and out, I asked Kate where it all came from. She was kind enough to give me a list. 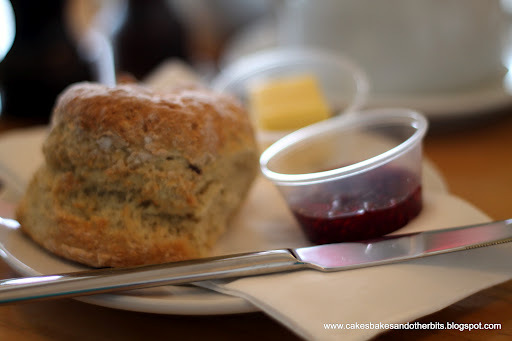 I was delighted to see that all breads, scones, and desserts are made in-house, which, would you believe, is not the case in a lot of restaurants. With so many great places to eat in Cork, Fenn’s Quay being one of them, it’s no wonder it is considered to be “the food capital of Ireland”. Needless to say that we will certainly be back. 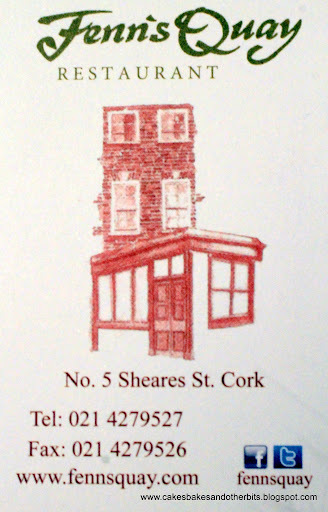 Fenn’s Quay is located on Sheares Street, Cork, and the restaurant is open Monday to Saturday for Breakfast, Lunch, and Dinner. Disclaimer: All meals were paid for in full, and once again, no favours were asked for, or given in return. Next Post "She Writes, He Cooks"
That looks and sounds delicious. I've just eaten and now I'm hungry again! Great photographs! Making me completely hungry for some Fenns Quay cooking. Great to see you last week. 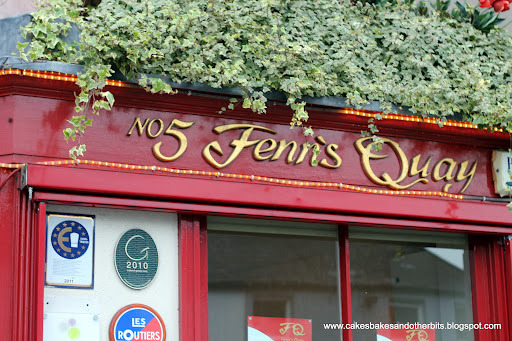 Thank you Evin, I won't visit Cork without visiting Fenns Quay! Lovely to see you too.